Whenever the Nintendo NY store holds an event, you can always expect some footage to be uploaded to YouTube. The recent launch event for Yoshi’s Crafted World is no exception. 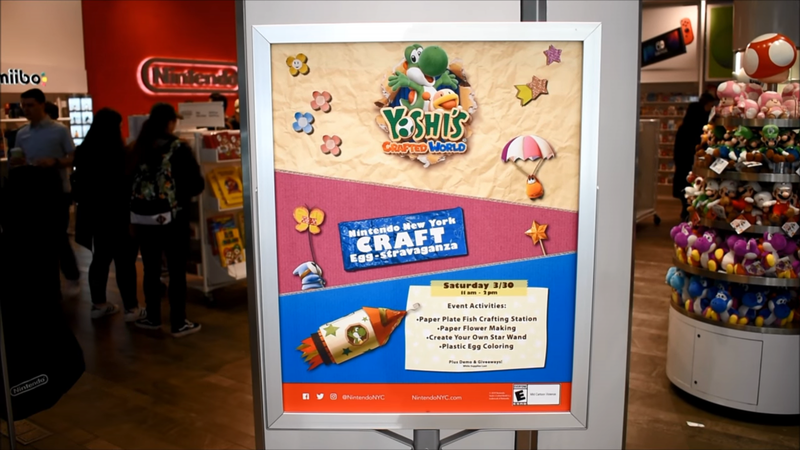 The store celebrated the launch of Yoshi’s Crafted World by letting attendees take part in activities, such as paper flower making and plastic egg coloring. The footage can be seen down below. Lol that video thumbnail is straight from heaven.